Went to Lorraine Brown sentencing. She got 60 mo, 2yr probation and 15k fine 5k needed to be paid today. She cried. Her husband upset. A former executive of Lender Processing Services Inc. (LPS) – a publicly traded company based in Jacksonville, Fla. – was sentenced today to serve five years in prison for her participation in a six-year scheme to prepare and file more than 1 million fraudulently signed and notarized mortgage-related documents with property recorders’ offices throughout the United States, announced Acting Assistant Attorney General Mythili Raman of the Justice Department’s Criminal Division, U.S. Attorney for the Middle District of Florida Robert E. O’Neill, and Special Agent in Charge Michelle S. Klimt of the FBI Jacksonville Division. Lorraine Brown, 56, of Alpharetta, Ga., was sentenced by Senior U.S. District Judge Henry Lee Adams Jr. in the Middle District of Florida. In addition to her prison term, Brown was sentenced to serve two years of supervised release and ordered to pay a fine of $15,000. On Nov. 20, 2012, Brown pleaded guilty to conspiracy to commit mail and wire fraud. “Lorraine Brown will spend five years in prison for her central role in a scheme to fraudulently execute thousands of mortgage-related documents while our nation’s housing market was at its most vulnerable point in generations,” said Acting Assistant Attorney General Raman. “The documents that were fraudulently produced under Brown’s direction were relied upon in court proceedings, including a significant number of foreclosure and bankruptcy matters. Today’s sentencing represents appropriate punishment for someone who sought to capitalize on the nation’s housing crisis.” “Floridians were hard hit by the downturn in the real estate market,” said U.S. Attorney O’Neill. “We will continue to pursue individuals like Brown who took advantage of consumers for personal gain and contributed to the financial crisis. Prosecuting financial crimes remains a priority for our office.” “The investigation of sophisticated mortgage and corporate fraud schemes continues to be a priority for the Federal Bureau of Investigation as such criminal activities have a significant economic impact on our community,” said Special Agent in Charge Klimt. Brown was an executive at LPS and the chief executive of DocX LLC, which was a wholly-owned subsidiary of LPS, until it was closed down in early 2010. DocX’s main clients were residential mortgage servicers, which typically undertake certain actions for the owners of mortgage-backed promissory notes. Servicers hired DocX to, among other things, assist in creating and executing mortgage-related documents filed with recorders’ offices. According to Brown’s plea agreement, employees of DocX, at the direction of Brown and others, began forging and falsifying signatures of authorized personnel on the mortgage-related documents that they had been hired to prepare and file with property recorders’ offices. Only specific personnel at DocX were authorized by clients to sign the documents, but the documents were fraudulently notarized as if actually executed by authorized DocX employees. According to plea documents, Brown implemented these signing practices at DocX to enable DocX and Brown to generate greater profit. Specifically, DocX was able to create, execute and file larger volumes of documents using these signing and notarization practices. To further increase profits, DocX also hired temporary workers to act as authorized signers. These temporary employees worked for much lower costs and without the quality control represented by Brown to DocX’s clients. Some of these temporary workers were able to sign thousands of mortgage-related instruments a day. Between 2003 and 2009, DocX generated approximately $60 million in gross revenue. After these documents were falsely signed and fraudulently notarized, Brown authorized DocX employees to file and record them with local county property records offices across the country. Many of these documents were later relied upon in court proceedings, including property foreclosures and federal bankruptcy actions. Brown admitted she understood that property recorders, courts, title insurers and homeowners relied upon the documents as genuine. This case is being prosecuted by Trial Attorney Ryan Rohlfsen and Assistant Chief Glenn S. Leon of the Criminal Division’s Fraud Section and Assistant U.S. Attorney Mark B. Devereaux of the U.S. Attorney’s Office for the Middle District of Florida. This case was investigated by the FBI, with assistance from the state of Florida’s Department of Financial Services. This case is part of efforts underway by President Obama’s Financial Fraud Enforcement Task Force (FFETF), which was created in November 2009 to wage an aggressive, coordinated and proactive effort to investigate and prosecute financial crimes. With more than 20 federal agencies, 94 U.S. Attorneys’ offices and state and local partners, it’s the broadest coalition of law enforcement, investigatory and regulatory agencies ever assembled to combat fraud. Since its formation, the task force has made great strides in facilitating increased investigation and prosecution of financial crimes; enhancing coordination and cooperation among federal, state and local authorities; addressing discrimination in the lending and financial markets and conducting outreach to the public, victims, financial institutions and other organizations. Over the past three fiscal years, the Justice Department has filed more than 10,000 financial fraud cases against nearly 15,000 defendants including more than 2,900 mortgage fraud defendants. the big wall street idiots that play with peoples lives are the ones that need to be put in the bank owned prisons… I have a feeling, although no sure, she followed order for the higher up or she would loose her job…slavery abounds. Remember Madeoff yea he was very guilty but paid a big price with the death of his son, he was still a fall guy so to speak and did the son actually kill himself ???? But it gets even better! 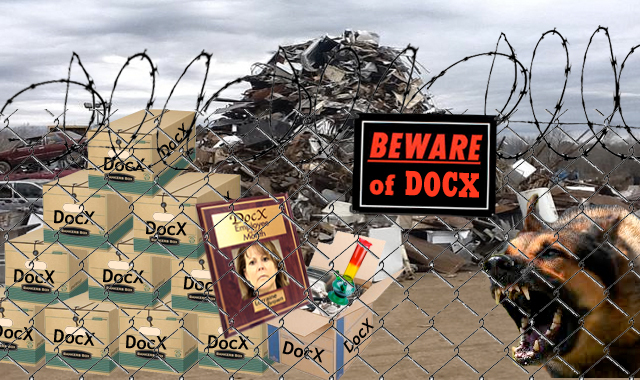 They are throwing the former president of DOCX, Lorraine Brown, to the wolves! We believe she was just following orders. There is no way she did this on her own. This should be UNBELIEVABLE, but I guess in the environment we are all in, what else should we expect? not long enough for all the lives she ruined. his LPS BUSINESS WHERE LORRAINE left off. Why aren’t the people that hired her to commit these crimes for them being prosecuted ? lorraine brown serves 5 years. the people she decimated through her fraud are serving a lifetime of misery and poverty. fraudclosure criminals (big and small) must pay for their crimes.